I’m really looking forward to half term week with my 6 year-old Biscuit-thief, and I’m determined not to watch Cbeebies even once, however much I miss it. This is my top five list of things we’ll be doing that cost under £1! Yes! These activities cost less than a sausage and yet, are somehow priceless. I seriously LOVE this experiment and can still remember doing it when I was 7. IT CHANGED MY LIFE and is the best possible way to teach children the power of positive thinking. Literally, mind blowing. Pad the bottom of each container with kitchen towel then, with a measuring jug, pour equal amounts of water into each tray – just enough to dampen the towel, not soak it. Then, sprinkle roughly the same amount of cress seeds on top of the dampend kitchen towel in each tray. Make three labels; one that says something nice like “love”, one that says something horrible like “hate” and leave the third blank. Put one label on each tray. Place the trays side-by-side so that they get equal amounts of light and heat. Now, here’s the important bit: over the next week, encourage your Biscuit-thief to say or think really lovely things towards the LOVE tray. They can say and think equally mean things about the HATE tray and have to ignore the third tray. Every day, they need to pour equal amounts of water into each tray to keep the seeds moist whilst thinking and saying lovely or mean things to the relevant seeds. You and they will FREAK OUT when, by the end of half term, the LOVE tray of seeds has grown faster with thicker stems than the seeds in the poor little HATE tray. It’s a bizarre, brilliant life lesson courtesy of cress. And watch the penny drop as your sproglets realize the damage they are doing when they call you a smelly fart head. On Monday morning, decide with your sproglet what the colour theme of each day will be for example, Monday = Red, Tuesday = Yellow etc. Whatever you do that day, from the clothes you both wear to the food you all eat, there must be an emphasis on that colour. They can count how many red cars, how many people they see wearing red jumpers etc on that day. The screams when they see a purple car on purple day… you have no idea. Not only will you realize that very few of us can really get away with that pastel orange Top Shop are trying to sell us, it’s also brilliant when the kids get to Friday and realize they have to eat lots of greens. Crafty eh? Play Boredom Bingo this half term! Apart from the fact that we REALLY MUST MOVE house, an average trip is transformed from boring milk run to fascinating detective trail. If she spots all five things, she has to shout, “BOREDOM BINGO” at the top of her lungs and wins a kiss from mummy. I really must copyright Boredom Bingo. Make a small hole in the lid of the jam jar and put a piece of thickish string through it, tying a knot at the top so it can’t fall through the lid. Fill the jar with warmish water and add a few table spoons of salt. Mix with a spoon and let the salt dissolve. Every time you or your sproglets cry over half term, catch a few of the tears in the jam jar to add to the salt mix. Place the lid with the string onto the jam jar and behold as over the week, the salt clusters around the string to form a gorgeous, crystalline gem. The size of the crystal will depend on how many tears have been shed. BRILLIANT. OK, hands up, I’m not a big Jubilee fan. In my book, any women who has been sitting on the throne for 60 years probably needs medical attention and a good dose of Syrup-of- Figs. It’s constitutional constipation! So, I’m bringing an element of 1977 into my house by allowing the Biscuit-thief to cut up a t-shirt and write her favourite rude word on it (‘fou-fou’) so she can wear it for the whole Jubilee day. Also, to avoid the crowds that will be gathering along the river Thames to watch the floating pageant thingy, I will re-enact this at home with some toy plastic boats in the bath tub whilst simultaneously encouraging my daughter to throw all her piggy bank savings out the window. Ok those are mine, have you got any additions that cost less than a sausage? Whatever you do, enjoy yourselves. Happy half term everyone! 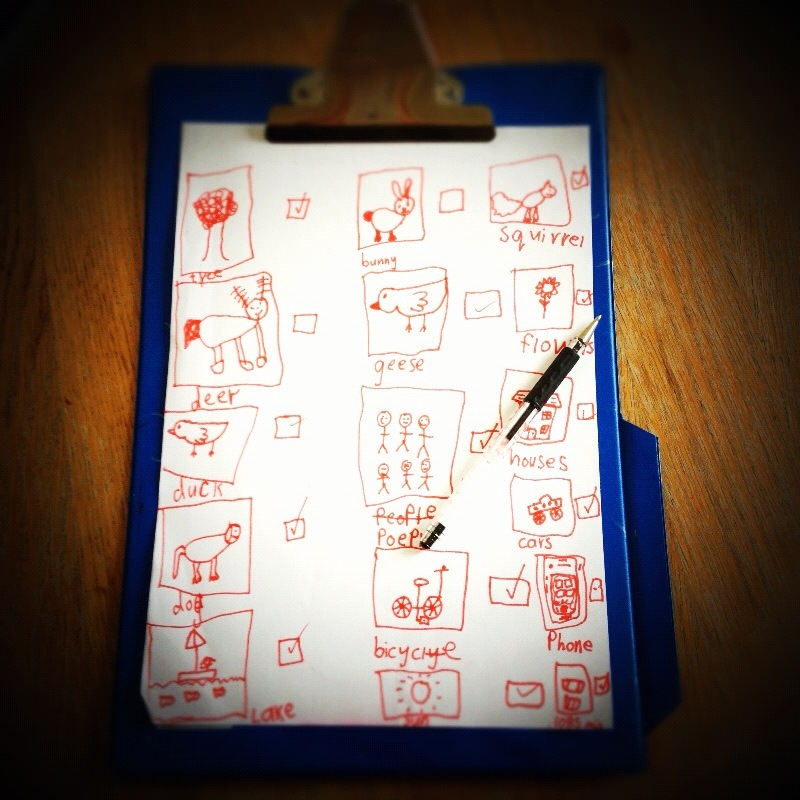 This entry was posted in Childhood, Children, Family Life, Motherhood and tagged boredom bingo, childhood, children, cress seeds, funny, half term, half term activities, holidays, humour, jubilee, salt crystals. Bookmark the permalink.